Need more information about booking Home 7294552 ? Built in 1988 house is very quiet on a slope (dead end). 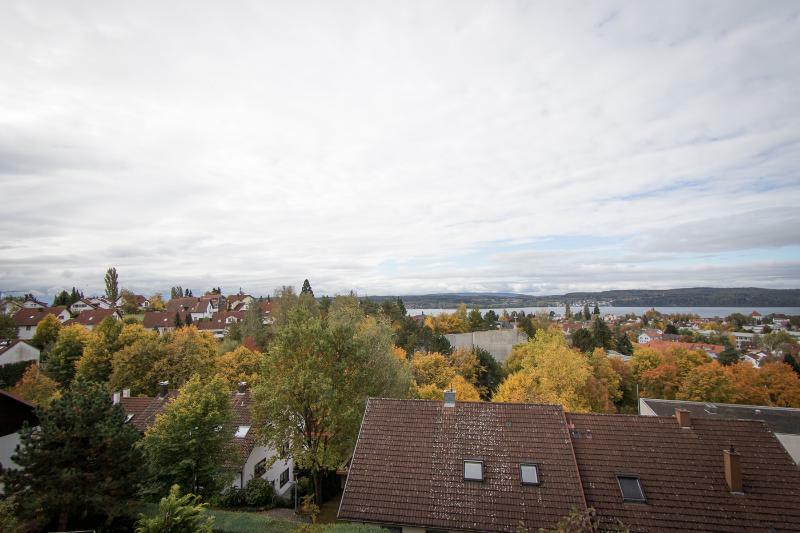 The top floor apartment (90 sqm) offers from the living room (south side) and from the balcony (west side) has a wonderful view of the city of Überlingen, the lake and the Alps. Shopping nearby. The station Ueberlingen, downtown and the lake can be reached in about 15 minutes on foot. Ueberlingen, situated directly on Lake Constance, the "Swabian Sea", offers many recreational opportunities for young and old: beach baths, thermal baths, culture, restaurants, shopping. Ferry to Meersburg, Mainau, Konstanz and tours. Many destinations in the near and far. For organizational reasons, the minimum stay is 5 days in low and 7 days per season. You can get in touch with Fritz (the owner) through the contact form on this page. Send Fritz (the owner) an email through the contact form on this page. Alternatively, if there’s a phone number on this page, you can call them. How do I contact Fritz (the owner)? If you’ve already booked, go to Manage your holiday booking to view Fritz the owner's contact details or send them a message. Or send Fritz (the owner) an enquiry through the Contact the owner/manager form if you’d like a quote or more info first. When you pay online through the Book your stay form, a booking request is sent to Fritz (the owner). You’ll find out within 24 hours whether they’ve accepted - no money will leave your account before then. You can also request a quote from Fritz (the owner) through the contact form. The owner will email you the total cost for your dates and a link to book and pay online. Use the Book your stay form to pay provisionally online. You can pay by credit/debit card or PayPal. Fritz (the owner) will have 24 hours to accept the booking and no money will leave your account before then. Why can't I call Fritz (the owner) before booking? You’ll need to contact Fritz (the owner) to do this. Send them a message in Manage your holiday booking or through the contact form on this page. You can request to change the dates or number of people on your booking via the Manage your holiday booking page. To change your holiday dates use the Edit booking button. If you need to change the number of guests staying then send Fritz (the owner) a message. If Fritz (the owner) agrees, they’ll send you a revised quote outlining the changes. You can review and accept/decline this from the Manage your holiday booking page. You’ll have 48 hours to take action before the revised quote expires. Estimated price per night based on a weekly stay. Owner fees of £61.00 per stay may apply. Enter your dates to see the total cost.